The Annual Membership Dues for 2019 is $60 per Household. Membership applications for 2019 are now open. Click the button below to join! Membership runs from January 1 to December 31 each year. We are pleased to see a continued increase from the 650+ Lohana families in Canada becoming members of our association (LCFT). We encourage all Lohanas to become annual members to support the community in being able to continue to provide community support, networking opportunities, meeting family and friends and helping us provide great value and growth! Annual membership dues went up for the first time in many years to $60 per household, due to increased event costs of venues, catering, minimum wage, etc.. We are still providing exceptional value to paid members at this rate. The annual membership dues are to be paid by all members despite their status of residential location, age, lifetime or annual, based on the family household address that the member resides in. If the joint family members reside in different households (e.g. father/son living at different addresses), we request that you honour this system on a per separate household basis. The membership dues should be paid immediately after the AGM and rate announcement at the start of the year, however, we will be accepting membership collections throughout the year, and at each of our events. The change from collecting dues at Diwali in the past, to collect at the beginning of the year instead, allows the committee to budget in advance, plan for better events, and put communication systems in place so that the year can run more smoothly! The committee is all volunteers running this organization, so your support in paying your annual dues on time is greatly appreciated to allow us to serve you better. You have the option to also become Lifetime Members at $300, which historically provided the benefit of a discount off your annual membership dues. Please note that for this 2019 year, following the AGM change in the constitution, it was unanimously voted that this discount is waived in future in order for us to meet budgets to make necessary operational changes and that the membership dues be set by the Executive Board. We thank the lifetime members for supporting this and paying the full annual membership for the year. Note we are now accepting new memberships for 2019. Membership applications can be made online only, or paid at one of our events. Can I Donate or Sponsor LCFT? Absolutely! We have several options to donate or sponsor, which can be found by clicking here. Our annual sponsorship programs include select event tickets and discounted membership, as well as a donation tax receipt. The funds are all deposited into a central budget, which the committee, led by our Treasurer, has allocated as operational spend to improve our communications, events and community support. A full report on this will be available at the next AGM. Finally, we would like to thank our annual sponsors and all our Annual Members for their continued support of the LCFT, participating and helping in events as volunteers, supporting your executive Committee in a positive and encouraging manner, and keeping the Lohana Spirit alive - Unity is Strength! 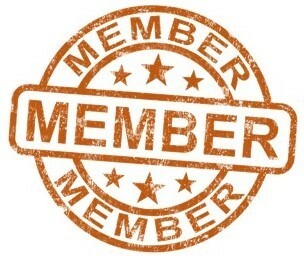 *To update your records on our mobile directory, please become a member to gain access to your account.